G.L. Watson were pleased to announce the launch of five exciting new re-build opportunities at the London International Boat Show 2011; Vril, Istria, Thistle, Rainbow and Virginia. The G.L. 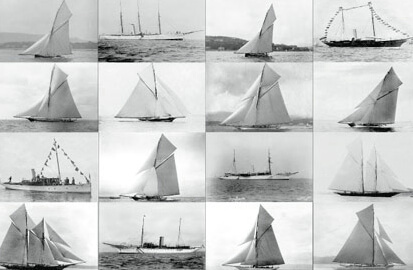 Watson Archive includes hundreds of drawings and plans of classic sailing and motor yachts that no longer exist, but which are available for rebuilding. We have the opportunity to combine authentic classic designs with modern expertise to meet current requirements and fulfil owner’s aspirations. RESTORED CLASSIC YACHT ST PATRICK RE-LAUNCHED!